Create Paint is a product that truly lets your creative side flourish. 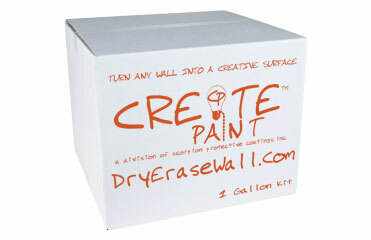 Create Paint Clear is a dry erase coating that goes on clear. Ordering Create Paint: Order what you need. Our kits are broken down by square footage. Simply calculate the square footage of the area you would like to convert into a creative surface and order that amount.